The lawmaker belonging to the All India Majlis-e-Ittehadul Muslimeen tendered an apology reportedly after receiving flak from the party. 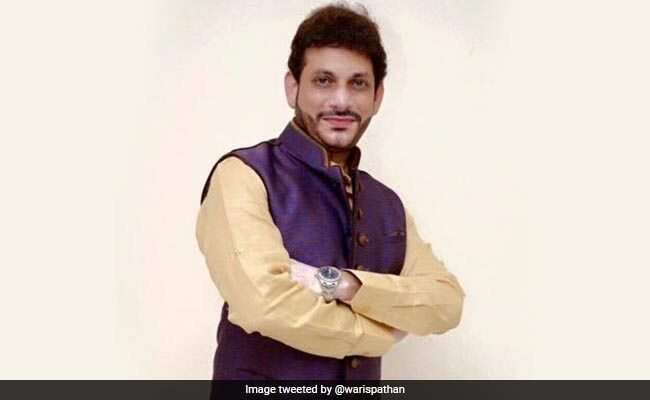 Waris Pathan, a lawmaker from Asaduddin Owaisi's party AIMIM was forced by his own party to "apologise" for chanting 'Ganpati Bappa Morya' at a pandal in Mumbai's Byculla recently. The lawmaker 'apologised' reportedly after receiving flak from the party. Mr Pathan released a video and sought forgiveness for using certain words. "Yes, I accept my mistake. Won't do it again. I am also a human and as human beings, we all commit mistakes. Even I did and I regret it. I know Allah will forgive me and so will you all," he said. While visiting a Ganesh pandal in his constituency, Mr Pathan had chanted 'Ganpati Bappa Morya'. As per reports, soon after the video of the lawmaker's visit to the pandal emerged, his party disapproved of it, forcing Mr Pathan to tender an apology.